Pig rooting in a fallen log. 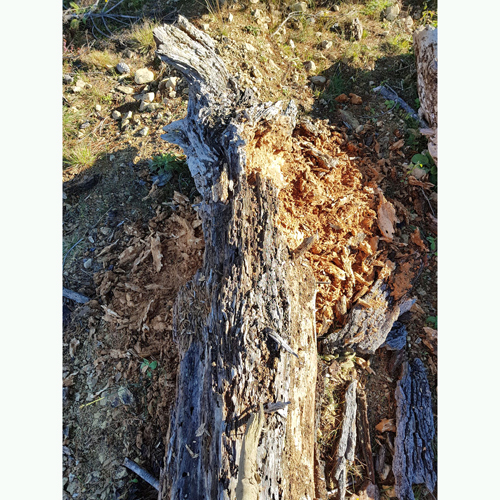 As pigs are omniverous they probably find rotten logs, like this one, a good source of food for both plant-based content and the invertebrates and other small animals that find logs good habitat. Matt Downer who took this photo followed pig tracks along a logging road to a skid site near the Tantragee Saddle behind Nelson, where there was much rooting sign, indicating the pigs returned quite often.